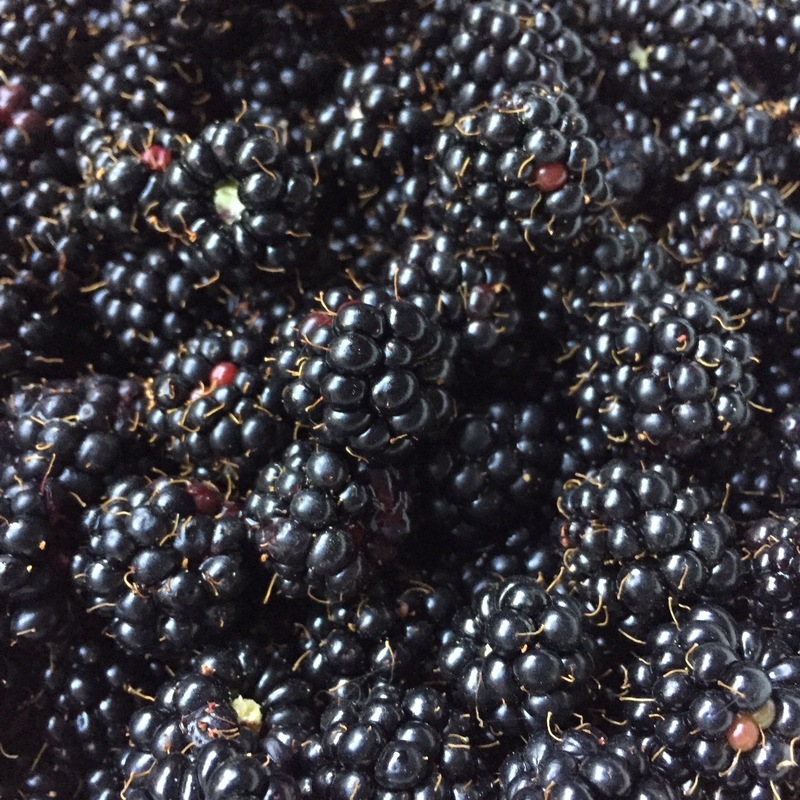 Our garden is rife with blackberries at the moment. Luke and I had fun picking them. We only used the ripest - ones that fell off the stalks nice and easily. I used some oat flour that I had in the cupboard, it works really well and happens to be gluten free! 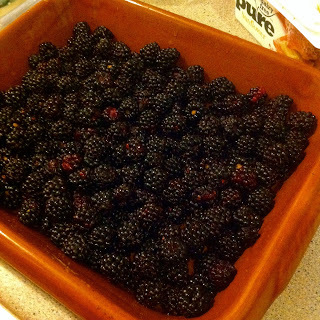 First I washed the blackberries thoroughly, then popped them in an oven dish, spreading evenly. Next I sprinkled a small amount of lemon juice and a table spoon of sugar. Now for the breadcrumbs. Pour the flour into the bowl and add the remaining 2 tbsp of sugar and cubes of the spread. Mix in with your hands until it feels like sand (you might need to add a little extra flour - oat flour is heavier than most) Don't worry if there are a few lumps - these are nice! Pop in the oven for about 30mins / until top is golden brown. It was definitely tastier cold the next day - which I was surprised at. Next time I might add more blackberries and perhaps some apples too to make it a little deeper and fruiter. 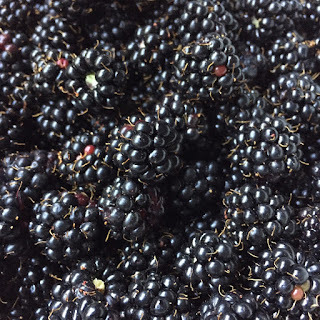 It was so nice eating something that had grown in our garden. 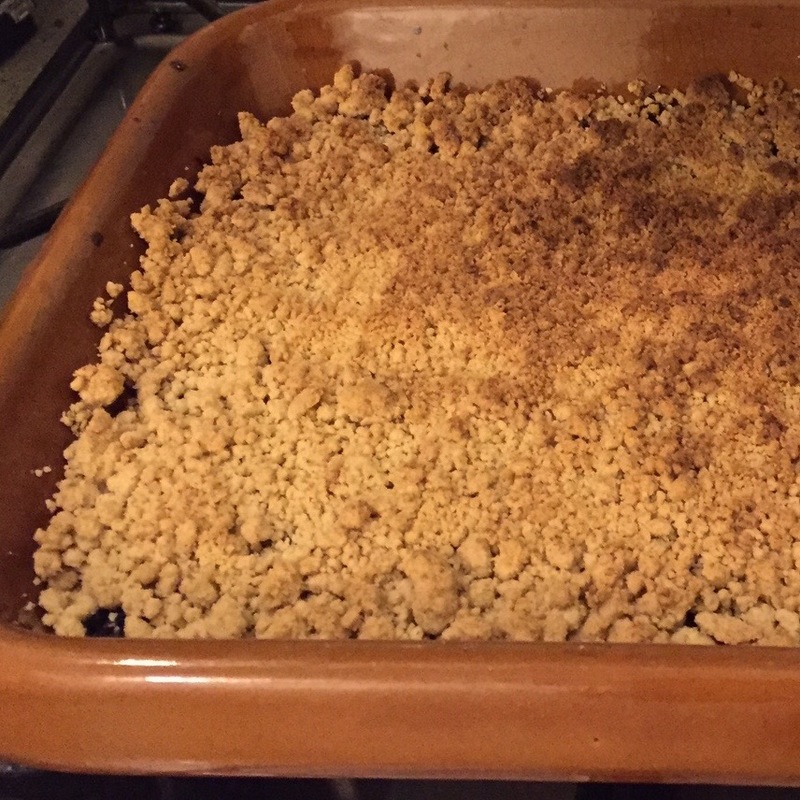 There are plenty more out there, so there will be more crumble!